Hot off the heels of my last Style post on Casual Spring Jackets I thought I better balance it out with some smarter looks. Just because the sun’s starting to shine a bit doesn’t mean it has to be all casual as there are plenty of occasions where a smart look is still required. Once again I thought it would be good to keep the core outfit the same to show how much just changing the jacket can make a difference. This time I’m wearing a Basic Black T-Shirt from H&M, the same Black Skinny Jeans from Topman and Black Suede Chelsea Boots from ASOS. This jacket works perfectly with the outfit for a more casual working week look, or something a bit smarter for wearing during the day at the weekend or going for brunch. Accessorised here with a black holdall – perfect for running around town and getting stuff done. 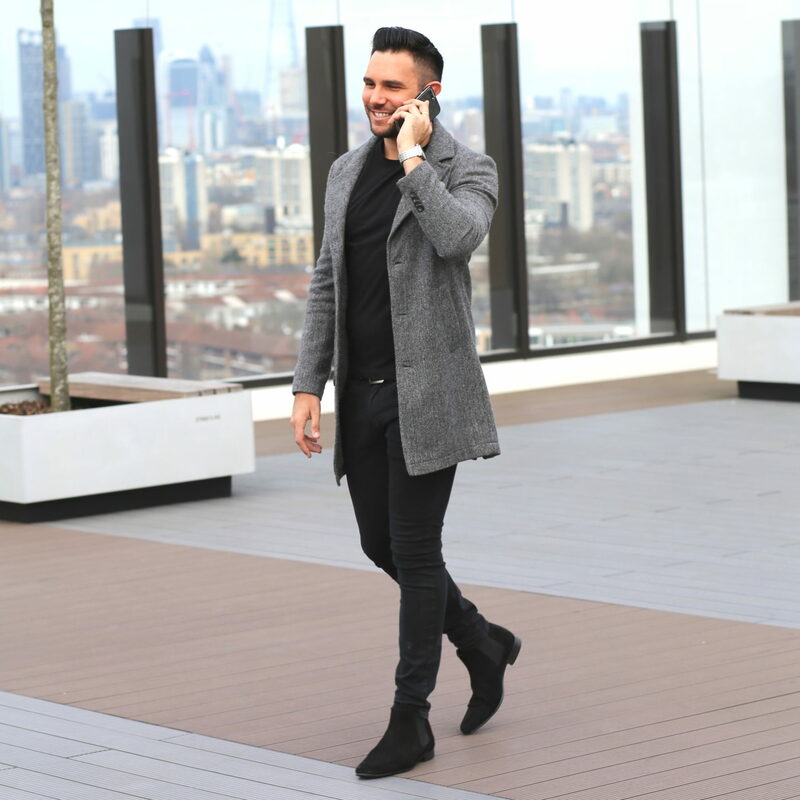 This jacket can work really well as something to wear in the evening for rooftop bar drinks or heading for dinner in soho. 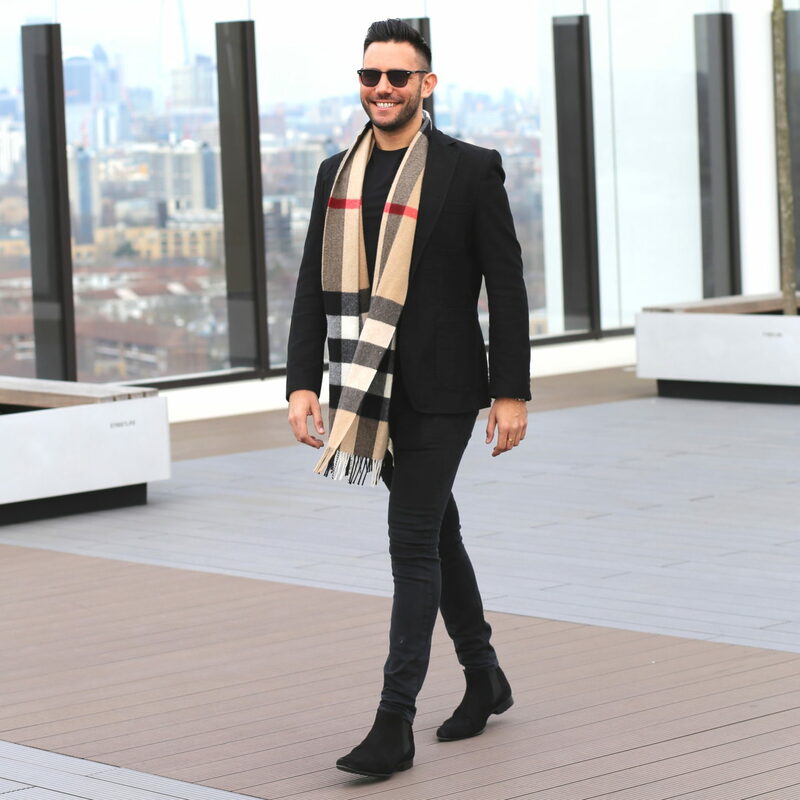 For a smarter daytime look it can be made more casual with a splash of a lighter colour through use of an accessory, like I’ve done here with a Burberry Scarf. I really like wearing this jacket during the day if I’m out having meetings. 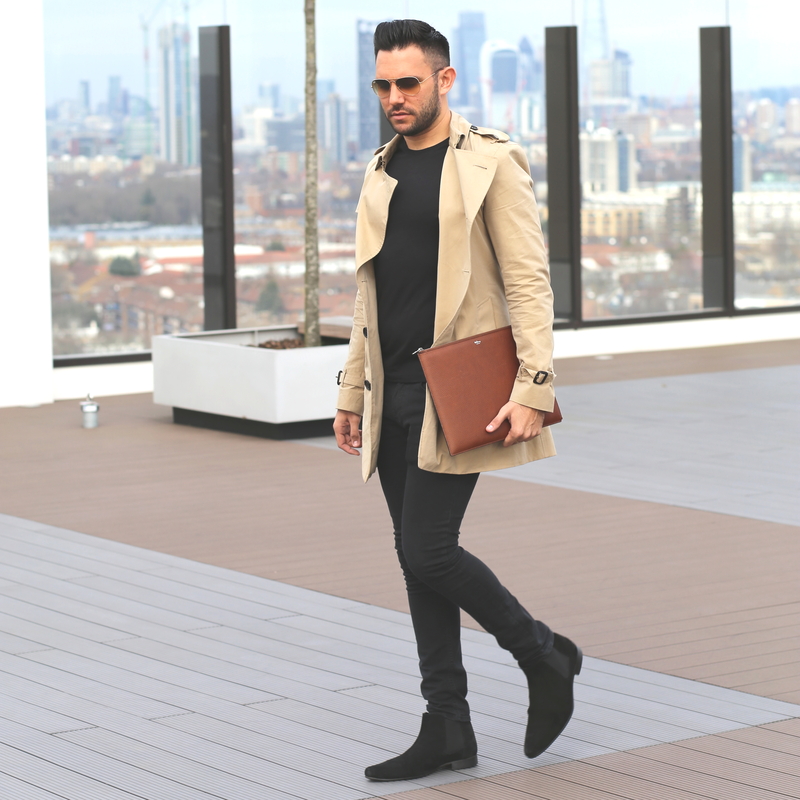 It means the classic black look underneath is comfy to wear whilst still looking good but the jacket gives a great finish to the look, perfect for being busy and on the go. This is probably my favourite of the four looks, the honey coloured jacket really lifts the outfit and it gives a super smart look whilst still looking effortless for spring. I’ve accessorised here with Rayban aviators and a Mulberry Tech Pouch. 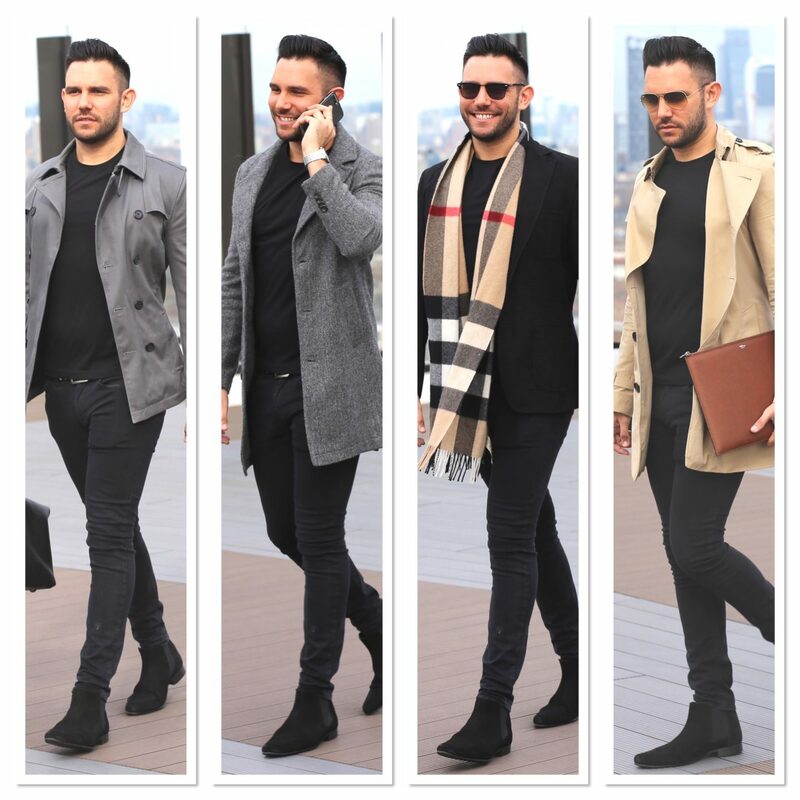 Obviously a Burberry coat doesn’t come cheap but there are loads of jackets out there that help recreate this look but without the price-take like this one for £60 from Asos. Which Smart Spring look do you like the most? Or do you have any other suggestions? Please let me know in the comments below as I’d love to hear your suggestions. Also don’t forget to check out my other blog post on casual spring jackets here.